Most digestive symptoms will resolve themselves relatively quickly and may not require medical treatment. However, for those symptoms that do not resolve, recur or produce severe pain it is important to see a gastroenterologist in Plano, TX to be properly evaluated. 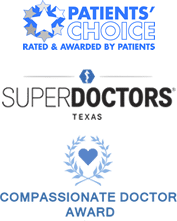 With over 30 years of experience, Dr. Cooley is an expert in diagnosing digestive symptoms and has provided additional information on the most common symptoms that he sees patients for in the Plano, Frisco, Allen, Richardson, McKinney and Dallas, TX areas. Click on the symptoms below to learn about causes, remedies and diagnostic procedures that may be used to rule out any serious medical conditions. Also, Dr. Cooley explains when you should see a GI doctor for each symptom. Experiencing pain in your stomach… cramps, a dull ache or sharp pain with varying triggers? When should you see a doctor? Can a diarrhea indicate a more serve medical issue? Get information on causes, diagnosis, dietary recommendations and treatment options. Learn the triggers, symptoms and effects of acid reflux. Get in formation on causes, vs external and treatment options. All bleeding is abnormal and should be evaluated by a doctor. Get info on causes and when to see a doctor. Typically, the underlying cause of digestive symptoms is something that a gastroenterologist can correct or limit the effects of with early detection. However, in some instances digestive symptoms can be an indicator of a larger medical issue. The only way to be certain of the cause of your digestive symptoms and the best course of treatment is to be evaluated by a GI doctor. I encourage my website visitors to explore the content I’ve created on different symptoms by clicking on the Learn More button for each symptom listed above and contact my practice if they have questions or would like to schedule an appointment to be examined at (972) 758-5484.